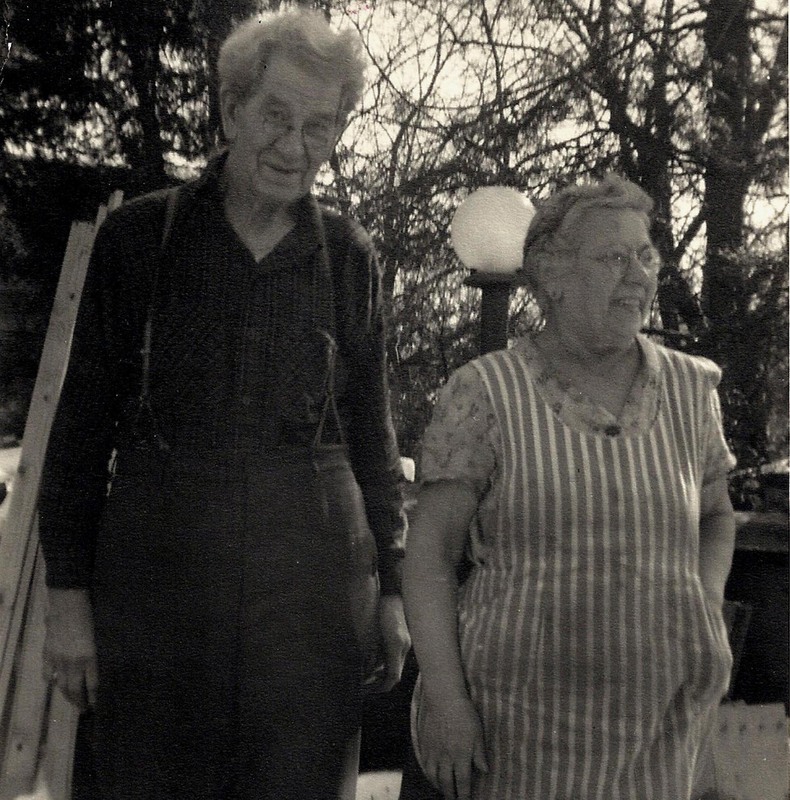 Charles Perdew was born in 1874 near Henry, Illinois, and his wife Edna in 1882. 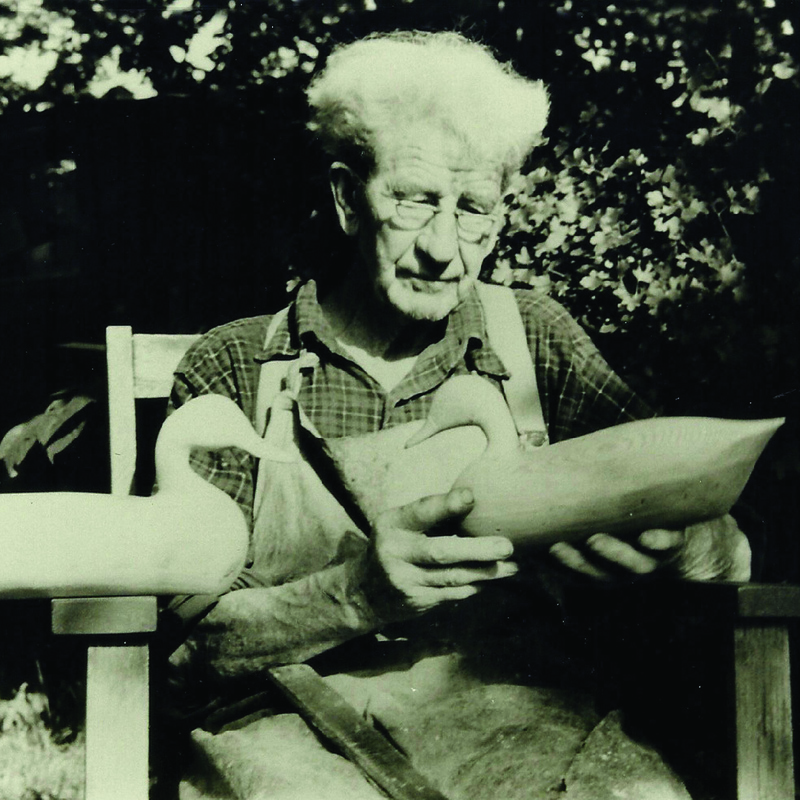 Their marriage in 1902 created an artistic partnership when it came to carving and painting wildfowl decoys. 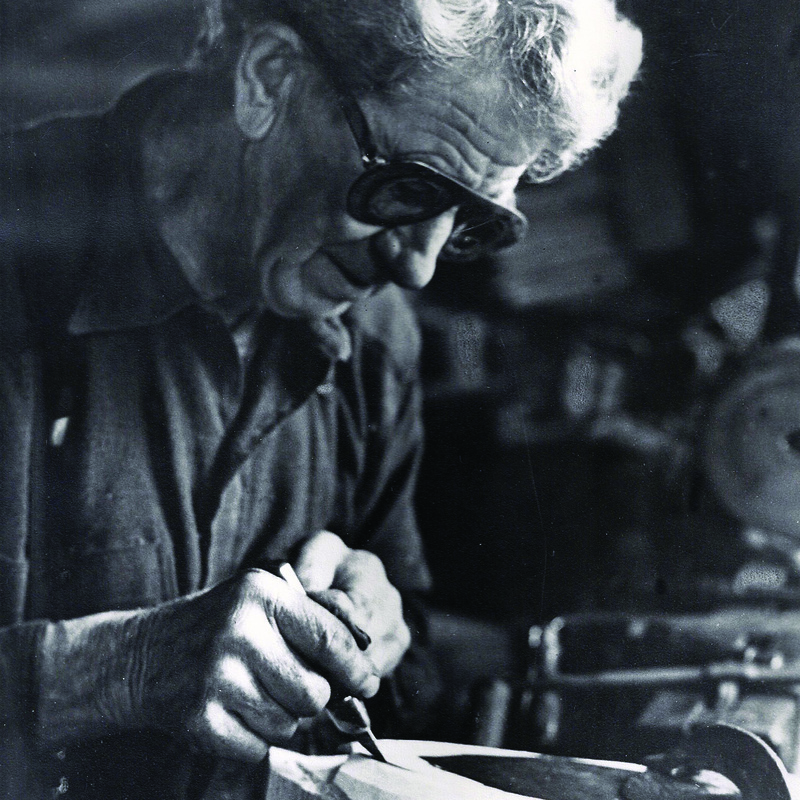 Perdew made a living with his hands and began carving at the age of 14. 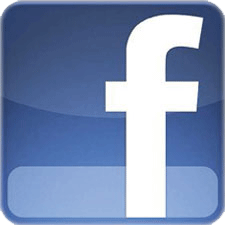 His decoys were finely carved around the eyes and nostrils. The bottoms were the classic Illinois River design with a "V" shape to withstand the river's current. 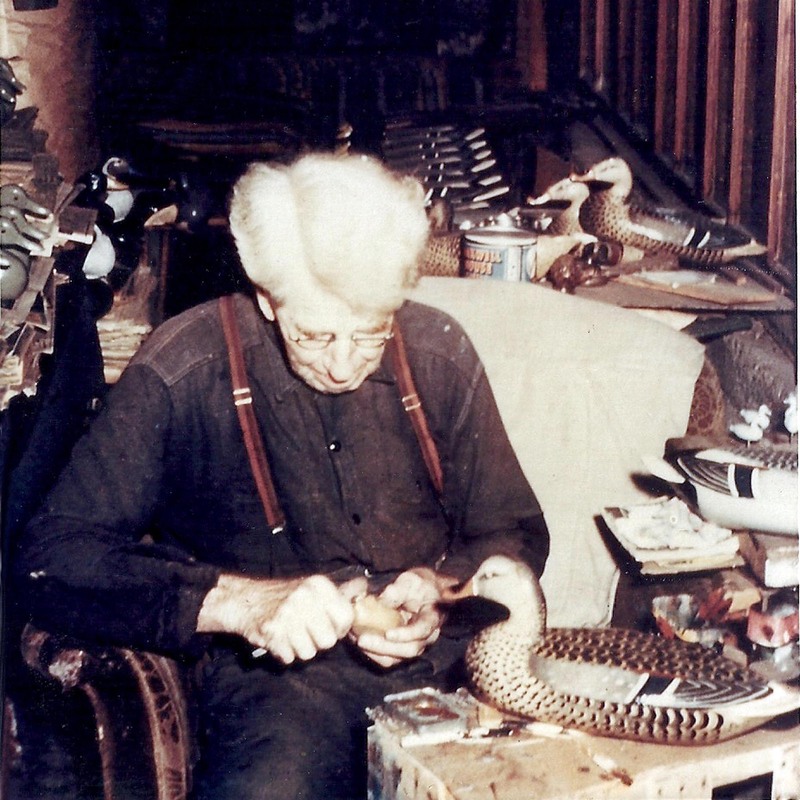 His duck and crow calls are among the most sought after of all Illinois calls. 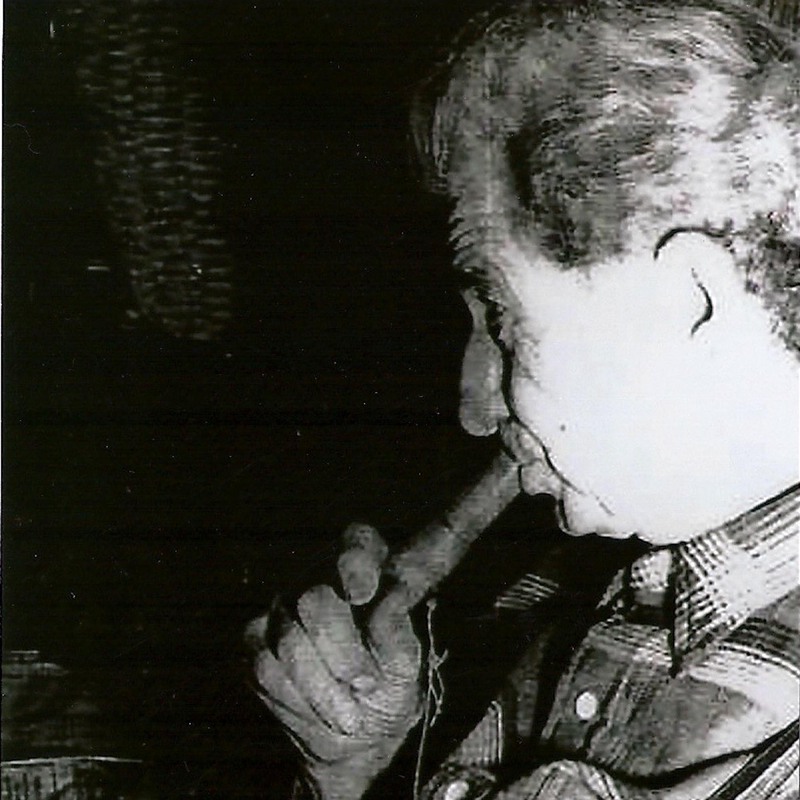 Thriving on the influx of seasonal hunters traveling down for the hunting seasons along the Illinois River, as well as local hunters, Perdew made decoys and even fixed the weapons of the hunters that came around. 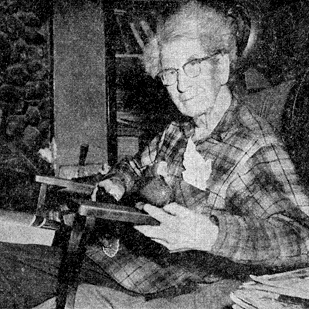 Combining their talents, Charlie and Edna Perdew became famous folk artists in Central Illinois and throughout the rest of the United States. They produced thousands of examples of painted wildfowl sculpture, originally purchased mainly by hunters to attract ducks, geese and crows to within shooting range. 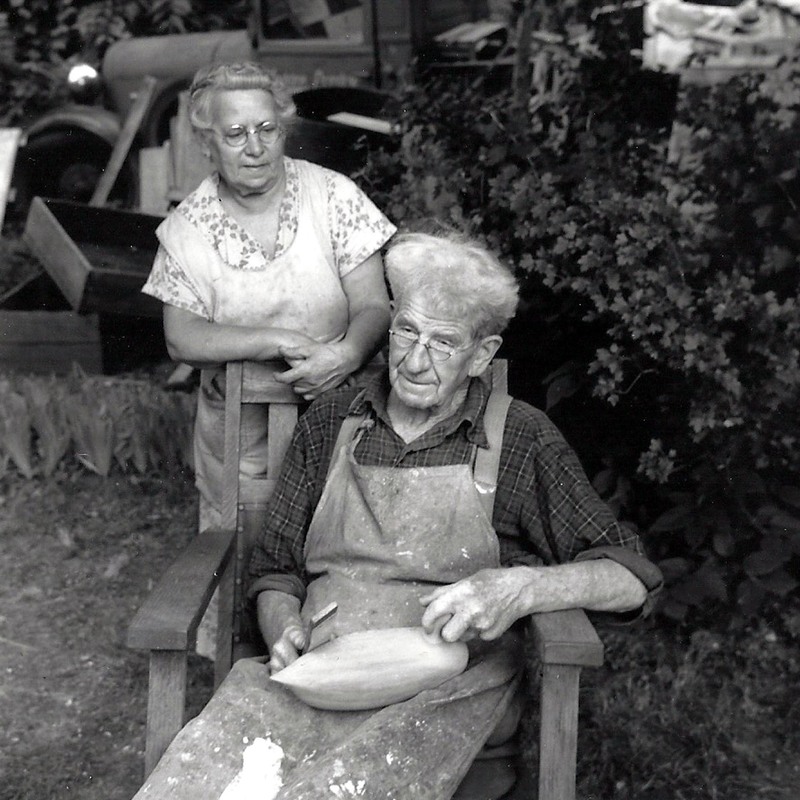 Interestingly enough, Charlie would be the one to sculpt, while Edna would be the one who would finish the carvings, painting them with masterful technique. When Charlie painted, it was with a stiff brush and bold outline while Edna created a more feathery look with combing. 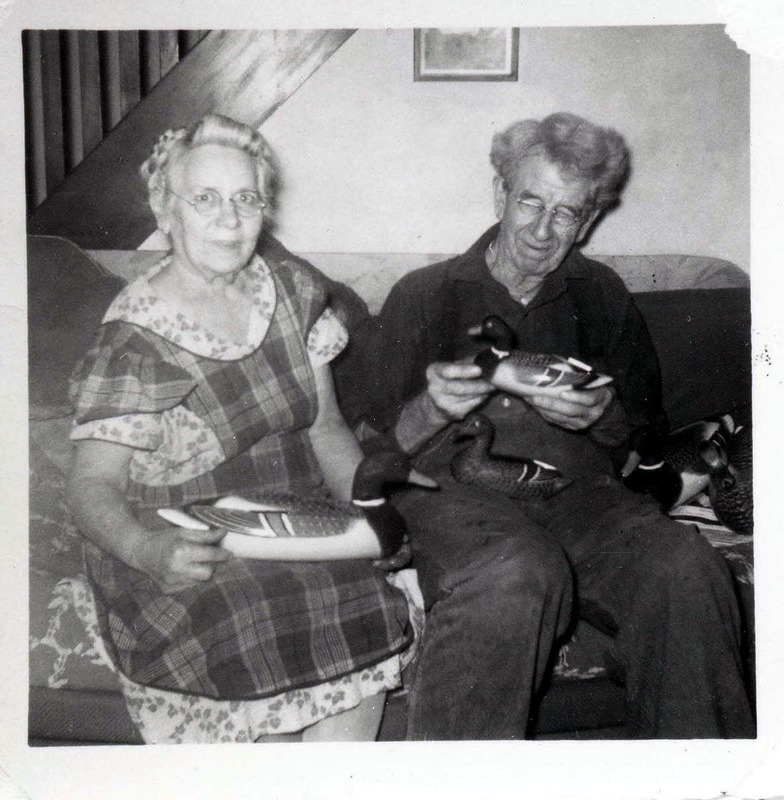 In later years, due to illness, Edna stopped painting the decoys so Charlie painted them. Charlie died in 1963 and Edna survived him until 1974. The world auction record for a Charles Perdew decoy is for a mallard hen that Guyette & Deeter, Inc. sold for $252,000 in 2007.